[By Nick] Let's have a throwback Thursday review from back when I was down in Georgia. 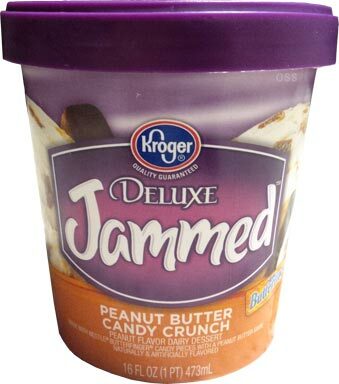 ‎Kroger has a line of frozen dairy desserts (fdd) called "Jammed". It's funny how each company has some ridiculous name for their fdds. Anyway, their peanut butter candy crunch flavor caught my eye. I mean, there's butterfingers involved for crying out loud. There's no way I could not try that even if it was a fdd. First off, that description is weird. Peanut flavored and not peanut butter flavored? 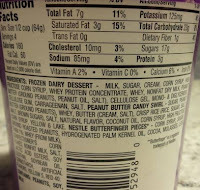 Dairy dessert and not a frozen dairy dessert?‎ That just doesn't look right to me. Whatever, moving on. Removing the lid, this one looks promising. That swirl just looks epic as can be. 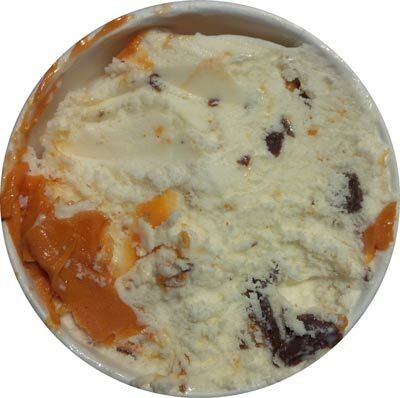 That and there are plenty of butterfinger chunks throughout. Digging in, this fdd is as airy as expected. Nothing too appalling though. 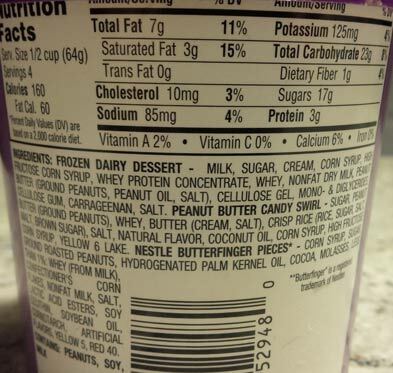 ‎The base does taste like peanuts so kudos to Kroger. The peanut butter swirl is a little lack luster. It's not thick like I would've like it to be but the flavor is there. The main attraction is by far the butterfingers and they're exactly how I'd like them. Crunchy and fresh. Nothing beats a good butterfinger. 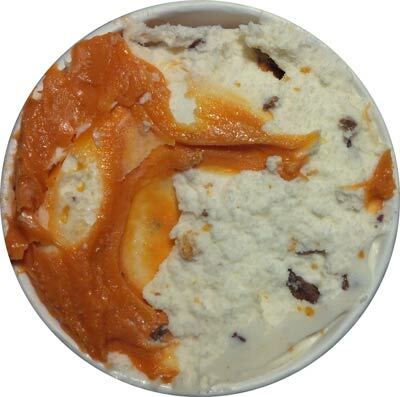 That with the peanut butter swirl and you have a tasty, light dessert. Honestly, this fdd surpassed my expectations. Now I'm not saying that this will change your outlook on fdd but it's surely a step in the right direction. It's on par with Edy's Butterfinger flavor for sure. If you have a Kroger near by, don't hesitate to give this a shot. Please let me know if you've tried any others from the Jammed line so next time I'm down South, I know what and what not to get. This Peanut Butter Candy Crunch is beyond good. I tried it last year and got addicted to it. I have honestly not looked at or bought any other flavor of ice cream but this. It tastes way to good and I am almost shocked something this good can be legal. Makes me feel so great. I honestly think I will disown Kroger's and never shop there again if they ever think about not making this great Ice Cream. I was told about this ice cream by another Kroger's customer and I am so grateful this customer mentioned it to me as is just way too great a product to ever pass up. I also have forwarded my love of this ice cream to many other people I have met and just hope this will help to always have it at Kroger's.